BASKETBALL SPOTLIGHT NEWS: Baby Ballers Prime For Future Phenom Camp! The Basketball Spotlight Future Phenom Camp not only brings together the top Middle School players in the country – the nations very best elementary and grammar school Hooper’s in the world will be in attendance this year. These players have already positioned themselves to be recognized as some of the top players in the country at their specific age groups. If you are a YOUNG Future Phenom; this is your proving ground. Building a national profile at a young age and positioning yourself as a player on the national ranking board has paid dividends for hundreds of players. John Mobley Jr. (2024)-after a stellar performance at the Basketball Spotlight Future Phenom Camp in 2014; Mobley whose game is based on elite level skill, was named the # 1 player in the country in his class. Mobley Jr. has continued to hone his game adding range, quickness, and moves to an already extensive package. Mobley Jr. will return to the Spotlight for a 3rd visit; testing his skills against the nation’s best and looking to maintain his national status. Peyton Kemp (2026)-is just entering 3rd grade and has already caught the attention of many basketball analysis by showing immense skill at such a young age. Kemp is doing things in games and from training perspective that many have yet to master at much higher levels. You can see the speed and versatility developing right in front of your eyes when you see Kemp play or train. Already considered to be one of the best in class he is already building a lengthy resume that will be further cemented after his arrival at his first Basketball Spotlight Future Phenom Camp – you’re never too young to be a star and competing against players such as Kemp will tell you right where you are on the national landscape. Brooklyn Vick (2025)-the nephew of NFL Star Michael Vick has hit the circuit and immediately made a name for himself; more than holding his own against the best teams and players in the nation. After a recent battle against the Blue Chips many began to ask the question if Vick was in fact the best player in the country in his age group. 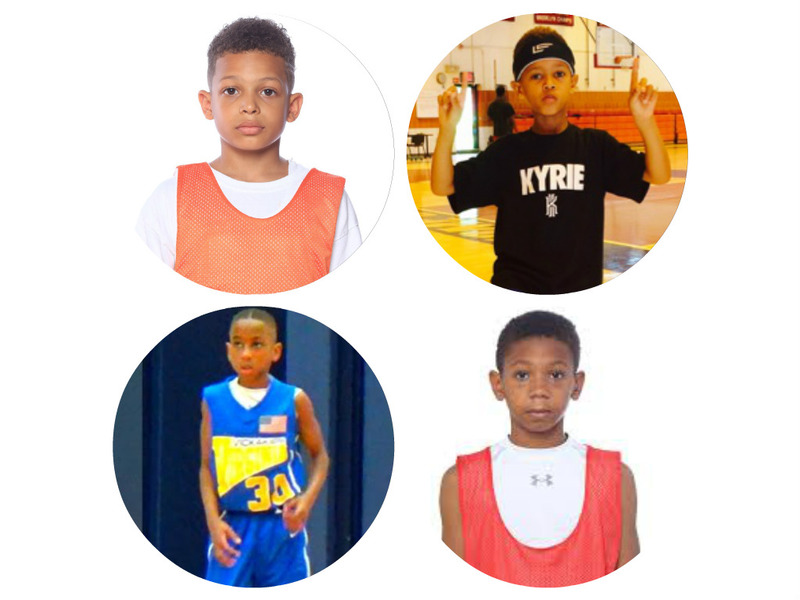 Vick will be arriving to the Basketball Spotlight Future Phenom Camp to solidify that claim – for class of 2025 players they will get to compete against the top of food chain and make their own class for the #1 spot. Jerry Easter Jr. (2024)-is a killer and one of the most mature guards we have seen at this age – poised, skilled, high IQ, with great size and length for the position who can take over the game in a multitude of ways both offensively and defensively. Pound for pound you will not find many more complete players at any age – Easter is a future star and rumors have surfaced that a reclass may be in store in the future. Easter Jr. can score at an elite level going to the basket and with the jump shot and has the ability to take over games for long stretches. If you want to see the top of the food change in the class of 2024,2025, and 2026 register for the Spotlight Future Phenom Camp now as the best in the business will be in the building looking to retain their status as the best in the country.